Salini Impregilo has won a new contract worth about €250 million in Poland to design and build a section called Lot 3 of the S7 Expressway. Work on the four-lane 18.3km section between Widoma and Krakow will last 34 months, includes the construction of overpasses, bridges, animal crossings and a 2km viaduct. The S7 will cross Poland from Gdansk in the north to Krakow in the south. 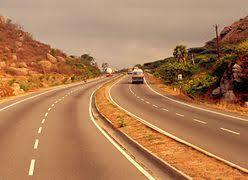 The client is the General Directorate of National Roads and Motorways (GDDKiA). Salini recently announced the sale of the plants and paving division of its US-based Lane Construction business to Eurovia for around US$555 million (€477 million). The deal with Eurovia, part of the French concessions and construction group Vinci, will likely be finalised by the end of the year. Salini, based in Italy, operates in 50 countries and has more than 35,000 employees. Projects include the new Gerald Desmond Bridge in Long Beach, California, in the US, as well as the new Panama Canal, the Grand Ethiopian Renaissance Dam in Ethiopia, the Cityringen metro in Copenhagen, the new Riyadh metro system.